It may look like the Kings, Queens and countrymen of Ancient Rome were wearing an old sheet to conduct their important business. 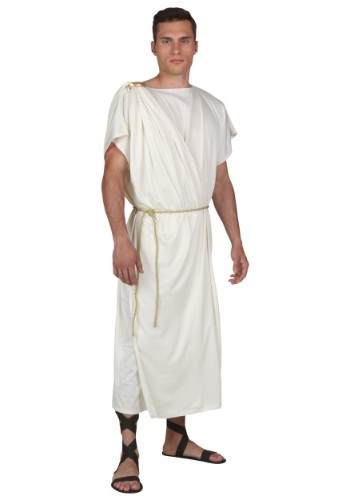 These loose robes, often in white cotton or linen, are called Togas and were the common fashion for the day. 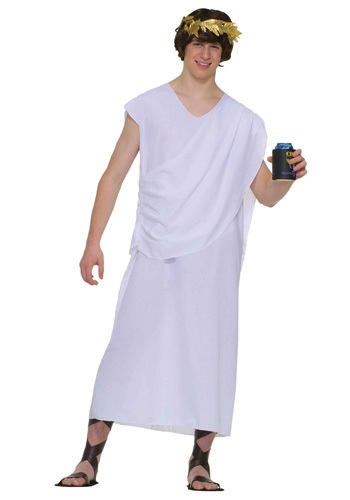 Thanks to the 1980s comedy movie “Animal House”, the Toga has made a comeback at college fraternity parties. What better way to celebrate the weekend that with a loose outfit and keg of beer. Toga, Toga! 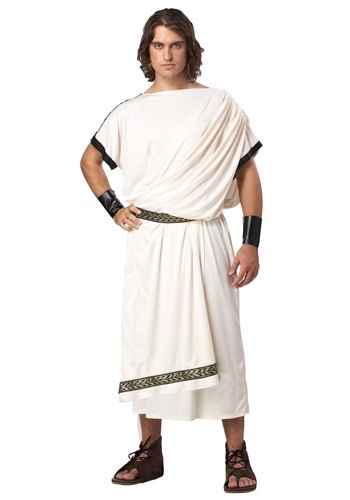 Dress up in true Roman fashion in a toga costume. The original togas were made of nearly 5 yards of wool fabricwhich was wrapped around the body and usually worn over a simple linen tunic. 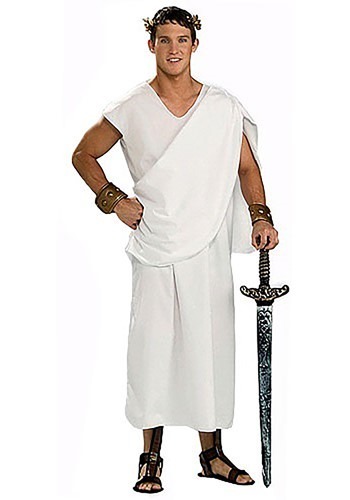 Togas were primarily worn by men; the female dress was called a “stola”. 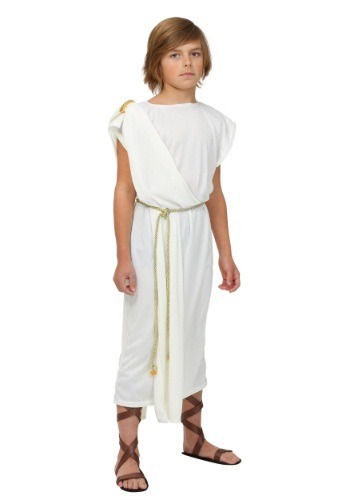 Pre-made toga costumes will ensure that the fabric drapes properly and covers everything it should. Place on your head a wreath made of laurel leaves and slip on some simple leather sandals for a right-on Roman look.